Surelock Homes - Alarms/Security, Locksmith based in Hastings, East Sussex. Invoice history based on 72 reviews. 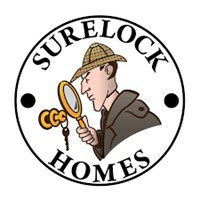 Surelock Homes is a small family run business based in Hastings. We offer a range of services from emergency call-outs to UPVC and timber lock repair. Fully insured and CRB/DBS checked you can rest assured we won't leave you in a mess. There are discounts available for the elderly & NHS staff. We offer very competitive rates & currently do not charge VAT. Even if you just have a few queries please feel free to contact us.